Through our sister company, Cloud to Ground, we offer state-of-the-art equipment and comprehensive services to help any projects thrive, not just our own. Cloud to Ground is a one-stop shop for all your production and post-production needs, offering more than a dozen fully-equipped edit suites for offline and conform editing, dynamic sound mixing, and high-caliber color correction. All rooms are networked to our shared media server ensuring that your project can be efficiently completed by any or all of our professional editors, sound designers, or colorists in the timeframe you need. No matter what you’re shooting, Cloud to Ground can provide the best production equipment at the most affordable prices in Georgia. We offer everything from camera and lens packages to Grip & Electric gear to rental vehicles and a green screen insert stage. All items are maintained to industry standards and guaranteed to perform to your satisfaction. And our team of supervisors & coordinators can budget and manage all facets of production, giving you a trusted partner to rely on. 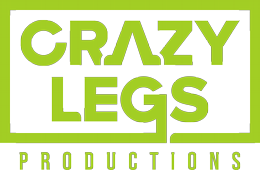 Discover more of what Crazy Legs and Cloud to Ground can do for you. Provide us with a few details below, and we'll contact you within the same business day.